Remember, that this section of my blog that is ''Discoveries'' is all about inspiring you and me to love and appreciate the beauty in God's creations. There are MANY beautiful, amazing and awesome things created by God Almighty that we do not know one quarter of. My aim is to gradually sort these beautiful, amazing and awesome things created by God and together we will inspire one another to love and appreciate the beauty in God's creations and understand how amazing and magnificent God is. If you are just joining us for the first time, we say THANK YOU AND WELCOME! You can search this blog with the hashtag #Discoveries to get inspired by the many posts that have been published on Discoveries. I really hope you get inspired by them. 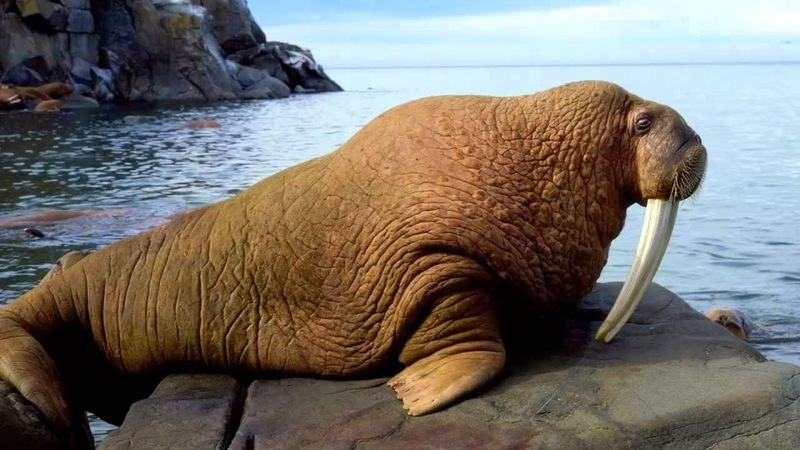 Today's Discoveries' post is on the BIG animal called Walrus. I was going through my TL (Timeline) on Twitter and this big animal (pictured above) caught my interest. As this happened to be my first time of hearing about this animal, I took it upon myself to research more about this animal. This animal I feel is like the 20 animals You Won't Believe Exist. You can find that here >>> chidinmainspirations.blogspot.com/2014/07/20-animals-you-wont-believe-exist.html?spref=tw … in case you missed it. Let's learn more about The Walrus. 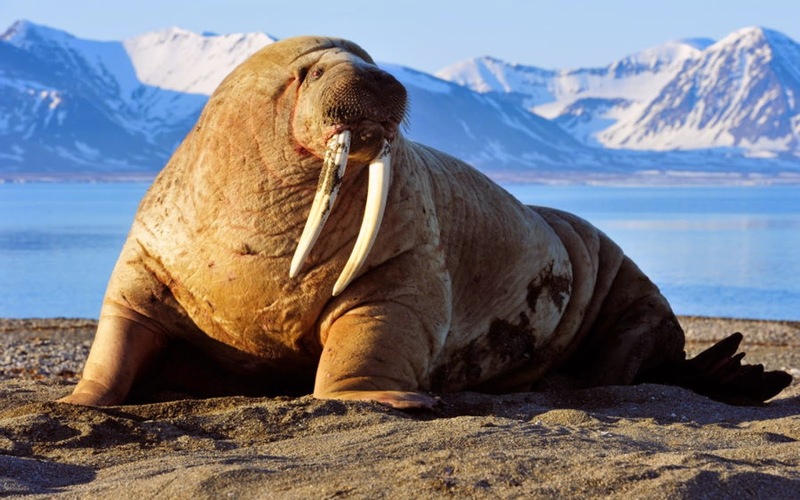 According to Wikipedia, ''The walrus is a large flippered marine mammal with a discontinuous distribution about the North Pole in the Arctic Ocean and subarctic seas of the Northern Hemisphere. 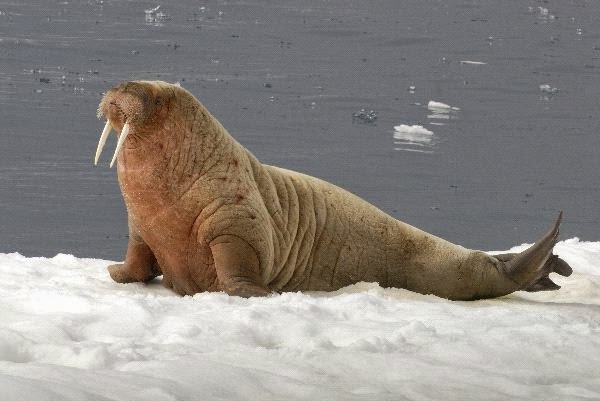 The walrus is the only living species in the Odobenidae family and Odobenusgenus. This species is subdivided into three subspecies: the Atlantic walrus (O. r. rosmarus) which lives in the Atlantic Ocean, the Pacific walrus (O. r. divergens) which lives in the Pacific Ocean, and O. r. laptevi, which lives in the Laptev Sea of the Arctic Ocean. Adult walruses are easily recognized by their prominent tusks, whiskers, and bulkiness. Adult males in the Pacific can weigh more than 2,000 kg (4,400 lb) and, among pinnipeds, are exceeded in size only by the two species of elephant seals. Walruses live mostly in shallow waters above the continental shelves, spending significant amounts of their lives on the sea ice looking for benthic bivalve mollusksto eat. Walruses are relatively long-lived, social animals, and they are considered to be a "keystone species" in the Arctic marine regions''. 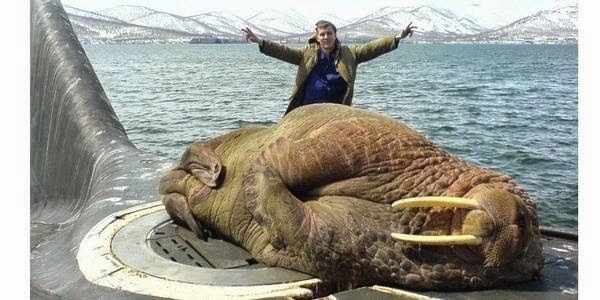 Now that we have known a little about The Walrus, let see more pictures of this BIG animal shall we? Indeed God is AWESOME, MAGNIFICENT, HE IS THE GREATEST CREATOR, ARTIST AND ARCHITECT EVER! I hope you have been inspired? Please kindly share this post with others to inspire them as well. afterward i recommend him/her to visit this weblog, Keep up the fastidious job.